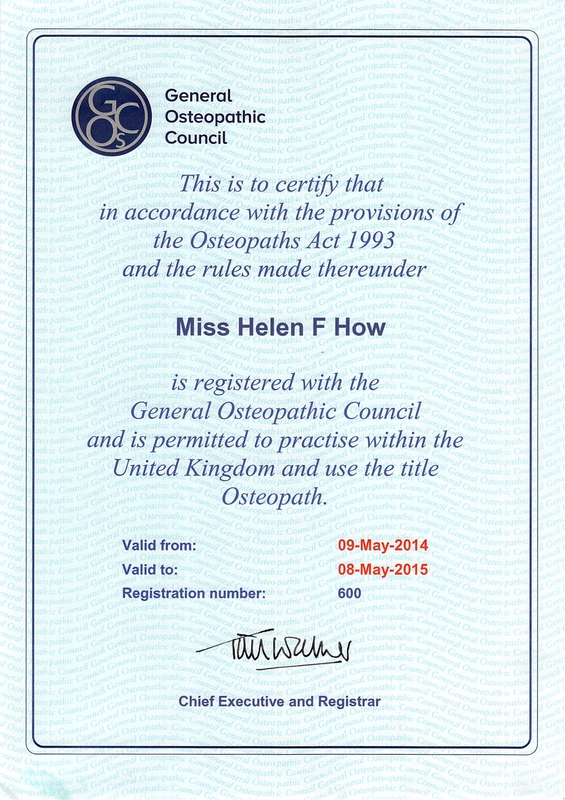 Cranial Osteopathy and Myofascial Release has becoming well known especially Cranial Osteopathy for babies pregnancy and after care Helen trained at the European School of Osteopathy where John Upledger come over to lecture and teach the students. 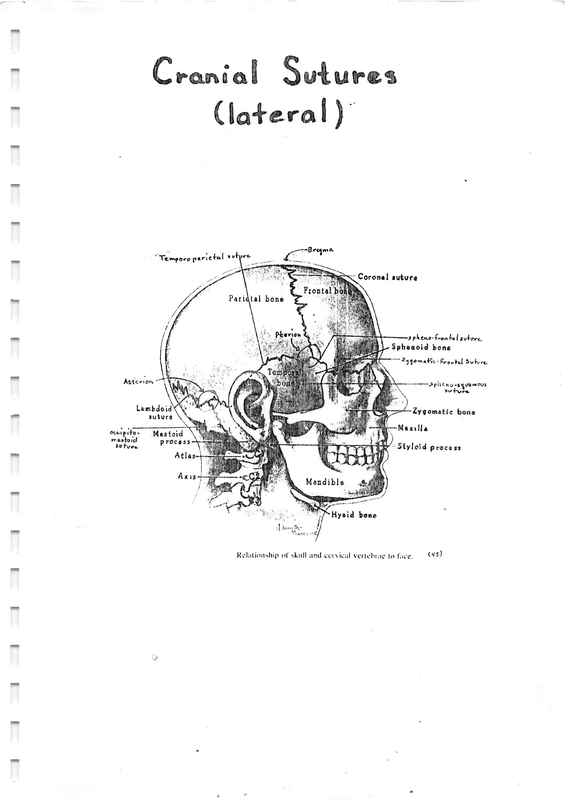 Here are extracts from the original Student Training Manual on Cranial Osteopathy and Myofascial Osteopathy – dated 1981 Of course modern medicine has evolved and our life styles and quality of life has changed dramatically. With the prolonged sitting smart phone, gadget era we put our muscles, tendons ligaments , joints under enormous pressure with so many different risks which are long term very risky and damaging including lack of exercise due to our over working hours in front of computers. Within recent years the importance of some of soft tissues of the body has been receiving careful consideration. They have been studied in relationship to other tissues and as operating in conjunction them. The result has been a better understanding of heir function and the results of their abnormal states both physical and chemical. “The connective tissues of the body are the most widely distributed of all tissues. 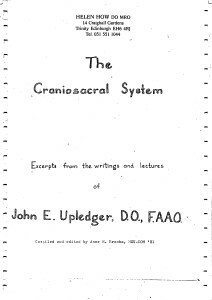 “The essential anatomical role of the connective tissue is to connect, support, bind, and pack together the various other tissues and organs of the- body. “All of the products of metabolism and the water from the cells which are passed over the blood and lymph pass through connective tissue. Extracellular fluid is held mainly in the connective tissue or inter-cellular space. The fascia of the body is connective tissue upon which the various parts of the body depend for much of their support. It provides some stability to articulations, points of muscular attachments, has important circulatory functions (venous, arterial, and lymphatic), and provides support for viscera. It is provided with sensory nerves, and many of its specializations are characterized by stress or tendon bands of varying thickness. These are but a few of the functions of fascia. Contractility and elasticity are two important properties of fascia. The latter decreases during life an important contributor to the aging process. Keefer makes the following interesting statement regarding the fascia of the body in relation to veins: Connections of veins with neighbouring fascia the rule in many regions of the human body and they seem to function as auxiliary minas of venous circulation corresponds , in large measure to or upon muscular activity against and along fascial planes. Fascial thickening and/or shortening combined with inadequate muscular activity retards the flow of blood and lymph. Such a condition i*results in an increase in the amount of tissue fluid that shows some change in its chemical content or composition. Chronic passive congestion (passive) is followed by a change in the hydrogen ion concentration and precedes the production of fibrous tissue. These facts alone result in some discussion regarding the use of rest in arthritis. The degree of change that will take place varies greatly and depends upon a variety of factors such as the general health of the individual, age, state of the autonomic system, and the degree of endocrine balance. The habitus of the individual is an important consideration since it assists in the determination of the over-all “individual pattern.” The length of time that the changes have been present will have much to do with the degree of alteration present. Some of the problems presented are the result of trauma at an earlier date that have necessitated the application of immobilization apparatus or a part held in a certain position over a long period of time, in some cases. If we arc to obtain the best results an intelligent and scientific evaluation has to be made. This is impossible until the condition of the tissues in question has been determined. Having the facts clearly in mind, it is then possible to select the type of therapy that will accomplish the most satisfactory results. The most scientific treatment requires that there be an automicophysiological approach to the problem, the manipulation being designed in accordance with the structure and condition of the part that is at fault. There should be a reason. The routine, stereotyped procedure carried out with utter disregard for the structure of the part or for the condition of the tissues taking part in its formation and activity of the part becomes nothing more than a type of gymnastic manoeuvre and may not accomplish the desired results. Indeed, it may be nothing more than a bold experiment carried out upon the vitality of the patient. They assist in producing such stabilization as is required and, at the same time, permit for motion initiated by muscular activity. Their relation to the fluids of the body is the same as has already been described earlier in this paper. The close association existing between fascia and muscles allows for combined changes of acute and chronic nature described as myofascitis. 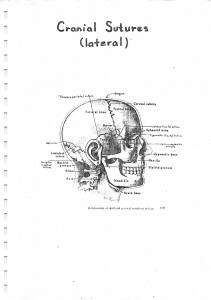 The term is both anatomic and descriptive. The condition is one that almost always accompanies postural defects and may be subject to acute pain in the presence of sudden or severe forces. In the large majority of instances tissue change of the nature previously described was present prior to the time the patient experienced the sudden or severe forces, or it may be that only minimal force was required to disturb the already altered tissue. The “trauma” described by the patient was, in reality, a force received by a previously altered tissue drawing attention to an area of myofascial change. These may or may not be accompanied by per articular or articular alteration. The history is often that of bending down to pick up some object from the floor or of muscular exertion while in a disadvantageous position. The picture becomes one of a possible spinal motion having been superimposed. It causes us to recall the third law of physiological motions of the spine which states that once one physiological motion of the spine has been introduced, all other motions are limited. 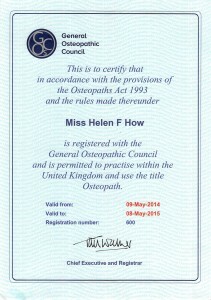 This fact is often overlooked during the examination and treatment of the injured back. If the individual is one in whom myofascial inflammation is present, the treatment must be designed in accordance with the changes that exist due to recent trauma and with those that exist to produce the myofascial change. It is helpful to regard the clinical picture as one of trauma superimposed on an already existing low grade inflammatory process. Both superficial and deep tissues have to be considered in the treatment of the majority of these changes. Congestion that may be present in the more superficial tissues may be reduced by treating along the course of the lymphatic trunks of the area. The superficial tissue of the body is well supplied by lymphatic vessels; decongestion of both may be ac-accomplished. The connections existing between the superficial and deep lymphatic’s provide a means by which the superficial treatment will assist in the de- congestion of deeper structures. (1) Superficial stroking in the direction of lymphatic flow. (2) Light pressure over the points of palpatory tenderness. (3 ) Light yet firm running pressure along the direction of the long axis of stress fibres present in the fascia of the area. (4) Deeper and heavier fascial specialization are well treated by alternate traction and release manipulation, sometimes referred to as “make and break.” This is especially true of the spinal areas and the structures readied are so numerous that a special outline of this phase of treatment has been prepared in connection with venous drainage of the vertebral system. 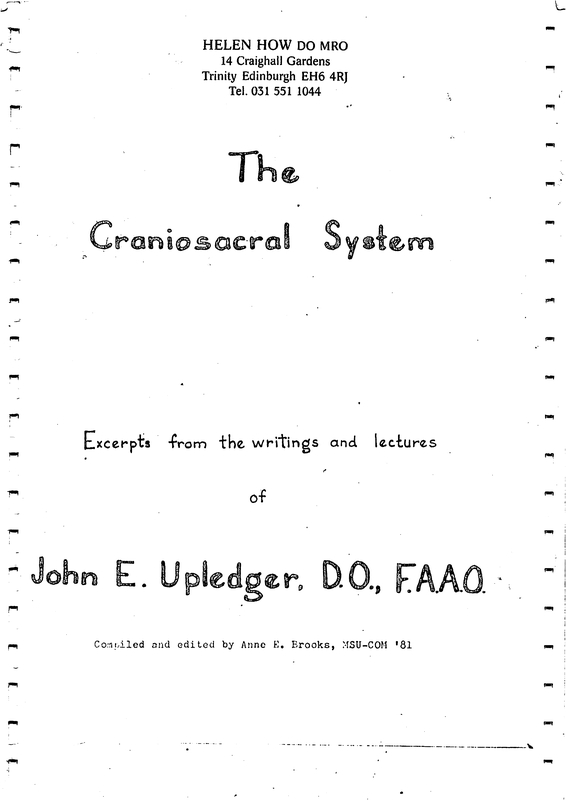 Treatment of the deeper fascial structures should be graduated and controlled. Traction should be gently applied and just as gently released since sudden application or release may be accompanied by sudden and often severe pain. Since much of the origin of many muscles is from the deep surface of fascia and since each muscle is invested by a fascial sheath, both structures (fascia and muscle) are often treated together. Furthermore, normalisation of arterial flow to the part impaired will be accomplished in many instances. Changes in soil tissue lake place before those are to be found in cartilage, and osseous tissues accepting, of course, those diseases of bones and joints that are notably blood borne, tumours of gross de velopmental defects for example. Changes in the tensions of muscles and ligaments may result in secondary change of articular cartilage and joint surfaces of bones. They are often responsible for peri articular change, and partial or complete loss of motion in the joint. before considering the more complicated aspects. How certain results are accomplished requires the most careful study of all our manipulative treatment, keeping in mind that all systems of the body ar4 interrelated and that response will vary according to the amount of tissue change present. The contractile phase persists throughout life but the elasticity decreases with age. The contractile phase not only persists but supersedes all other qualities of fascia. Fascial attachments have a tendency to shorten after a period of great activity followed by a period of inactivity. With advancing biological age the ligaments become thicker and tighter. Although the arc of forward bending is not expected to be very marked in the very aged person , the arc should not be limited at 20, :10, or 40 years of age as is so frequently seen. That part of treatment in which the fascia is to be important in our thinking must take advantage of that which is known regarding the properties and functions of fascia. I. It is provided with sensory nerve endings. 2* Its outstanding properties are contractility and elasticity. 3. It gives extensive attachment to muscles. 4. It helps regulate circulation especially that of the venous and lymphatic systems. 5. It is both gives support and is a stabilizer, helping maintain balance; the balance is suggestive of motion. 6. It assists in the production of motion, the control of motion, and interrelation of motion of related parts. 7. In many of the conditions resulting in deformities of a chronic nature, the degenerative diseases characteristic of the ageing process, fascial change will precede the change found in cartilage and bone. 8. Fascial contraction and thickening predispose to chronic passive congestion. 9. Chronic passive congestion precedes the abnormal production of fibrous tissue. It is followed by an increase in the hydrogen ion concentration of articular and periarticular structures. 10. Many of the fascial specializations have special postural functions. In these, definite stress bands can be demonstrated. 11. Sudden stress on fascial membranes will often be accompanied by a burning type of pain. 12. Fascia (connective tissue) is the arena for inflammation. 13. Infections and fluid often track along fascial planes.